The most advanced defibrillator on the market that contains technology through the defib pads whether your compressions are hard and fast enough. So not only will the voice guide you through the defibrillation process, it will also tell you if you are doing the compressions effectively if CPR is required. This unit records ECG and it can be downloaded afterwards by medical professionals. -Visual as well as audible prompts. -Convenient carry case and storage space for other items. -One of the smallest and lightest on the market, thanks to the Pad-Pak concept. -Software upgrades possible on site. -If you have a genuine event, a replacement PAD-Pak is provided free (subject to some simple terms and conditions). 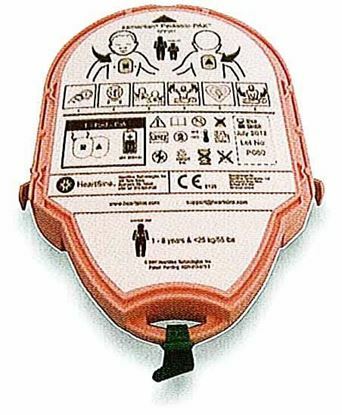 -Made in Ireland by the inventors of the world's first portable defibrillator. Wall cabinets sold separately - ask us. HS-WC-001 - Metal Wall Cabinet, white with see-through front door. HS-WC-003 - Metal Wall Cabinet, white with see-through front door, alarm and strobe light.